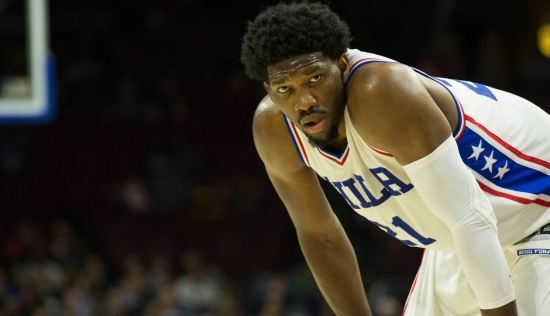 The Philadelphia 76ers announced today that rookie center Joel Embiid will be out for the rest of the season due to a knee injury. The Sixers said on Monday that he would be out indefinitely, but then decided to sideline him for the rest of the year after an MRI showed his torn meniscus is worse than they expected. The same scan did reveal that his left-knee bone bruise has "improved significantly." Embiid has not played since January 27th. He missed two full years following the 2014 draft due to a foot fracture. He has only played in 31 games this season but has been dominant averaging 20.2 points and 7.8 rebounds per game. Embiid is still considered a candidate for Rookie of the Year despite missing so man games to rest or injury.